The Boeing 777 or Triple Seven as it is commonly known is the largest twin engine jet transport in service, a role that was briefly held by the Airbus A330 prior to the Boeing 777s introduction into service in 1995. Sporting the largest diameter turbo-fan engines of any aircraft, six wheels on each main bogey and a distinctive blade tail cone, the Triple Seven can carry over 300 passengers up to a distance of 17,370 kilometers (9,695 NM). The Boeing 777 was designed in consultation with eight leading airlines and was designed to replace the aging McDonnell Douglas DC-10 and Lockheed L1011. It also provided a capacity bridge between the Boeing 767 and the Boeing 747 in that aircraft builders stable of aircraft offerings. 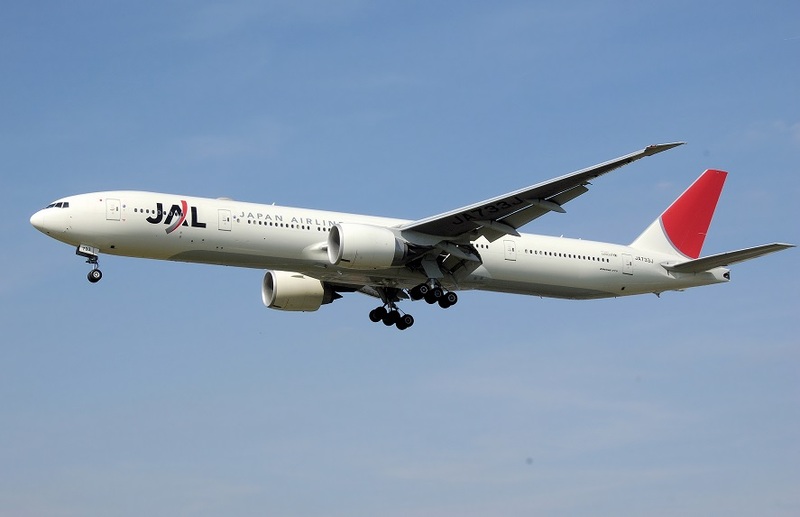 The original 777 offering was the Boeing 777 200 version which was followed up in 1997 by the Boeing 777 200ER where the ER stands for Extended Range. In 1998 Boeing introduced the stretched Boeing 777 300 variant which was 10.1 metres (33.3 feet) longer than the Boeing 777 200 series. The long range variant, the Boeing 777 300ER was added in 2004 with the longer range Boeing 777 200LR rolling off the line in 2006. Boeing has also introduced a freighter version which was first delivered in 2009. Three engine offerings are available with the Boeing 777; the General Electric GE90, the Rolls Royce Trent 800 and the Pratt and Whitney PW4000. The Triple Seven holds the record for the longest flight of a commercial airliner and is capable of flying more than half way around the world. A United Airlines Boeing 777 200ER taxis to runway 34L at Sydney. The 777 replaced the 747 on the US Australia routes as of 01 April 2014. The Boeing 777 is Boeings’ best selling aircraft. In a market currently focused heavily on fuel savings, a large fuel efficient twin jet is a very attractive offering. The main competition for the Triple Seven is the; Airbus A330, Airbus A340, McDonnell Douglas MD11 and the Airbus A350. As Boeing deliver their 1,000th 777, they are working hard to ensure the longevity and relevance of this very popular air-frame. The next generation of 777s is on the drawing board and currently is known as the 777X. Many concepts used on the Boeing 787 Dreamliner will be adopted in the design concept of the 777X, including the use of composite materials. Boeing anticipate a 21 per cent improvement in fuel burn with a 16 percent improvement in operating costs. A technology Boeing patented back in 1995 but no one to date has opted for, is the folding wing. The 777X is expected to have a wing span exceeding todays’ 777-300ER by 6 metres (6 feet). The folding wing tips are designed to enable the 777X to use airport gates designed for current 777 variants. They would be locked in place for takeoff and flight. The extended wings allow better fuel economy and speed. A Virgin Australia Boeing 777 300ER taxis at Sydney Kingsford Smith Airport. These aircraft are used on the Australia to US trans-Pacific route. Actually, the initial idea for the Boeing 777 would have been much like the DC-10 and L-1011; essentially, it would have been a Boeing 767 trijet. Boeing later realized that that idea would not generate much profit for them in terms of airlines purchasing the aircraft. Thus, Boeing sought to bridge the gap between their 767 and 747, and thus, a new blueprint for the Boeing 777 as we know it today was born. Thanks for stopping by. Yes you’re right, for a while there it looked like the way to go would be with the tri-jets led by Lockheed and McDonnell Douglas. The advent of more powerful engines have made the giant twin jets possible as they rolling back the ETOPS restrictions.